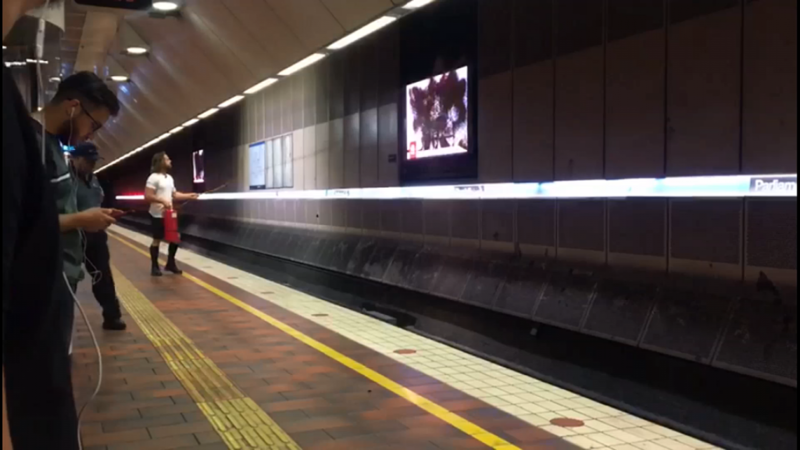 On the 22nd of March, Kyle Magee (democraticmediaplease.net) used a fire extinguisher full of paint to cover 3 video screens at Melbourne Central train station. He uses open, non-violent civil disobedience tactics, not concealing his actions or identity from authorities, so was arrested and interviewed in relation to “criminal damage”. 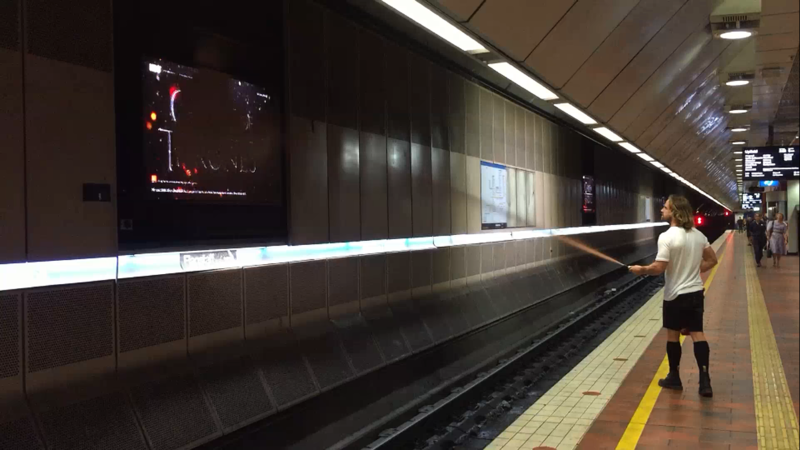 He targeted these video screens as they show ads WITH AUDIO!!!! 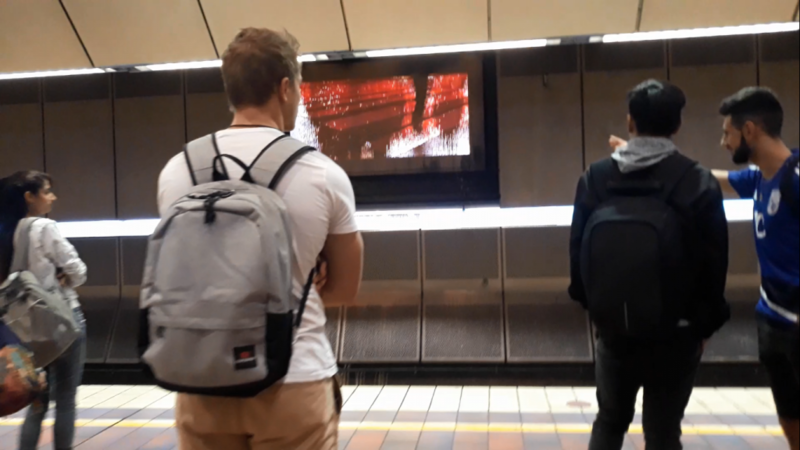 to stationary commuters waiting on the platform, which makes the screens some of the most offensive advertising in Melbourne.